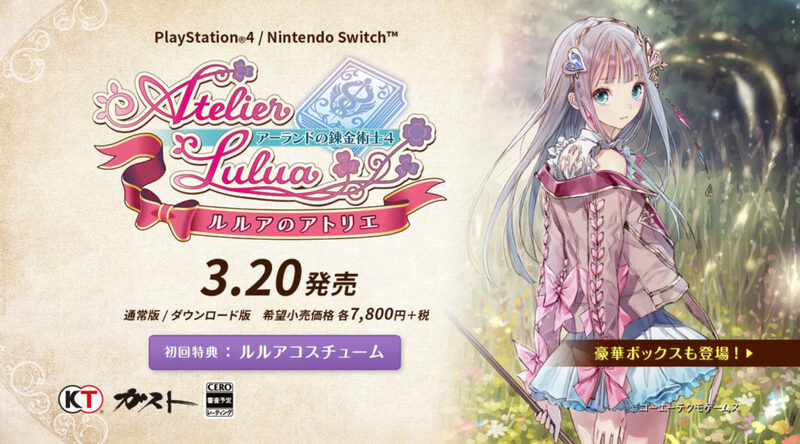 During the Gust 25th Anniversary Premium Live concert, developer Gust has just announced that Atelier Lulua: The Scion of Arland will be launching on 20th March 2019 in Japan. In addition, both the standard physical and digital formats will be priced at 7,800 yen. The Premium Box and Special Collection Box sets will also be releasing on the same day. You can place your orders here. Meanwhile, in the west, the game is scheduled to launch in Spring 2019.